The A-Class established today’s compact car segment of Mercedes-Benz in 1997 and since then more than six million models have been delivered worldwide. The family of compact cars from Mercedes-Benz continues to grow: the A-Class Saloon will be launched at the end of 2018. The new A-Class Saloon will be presented to the general public for the first time at the Paris Motor Show (4 to 14 October 2018). The new generation of compacts has made a key contribution to the rejuvenation and image change of the Mercedes-Benz brand. “Following the successful start of the A-Class, things at Mercedes-Benz are happening in quick succession with regard to the new family of compacts. In response to the wish of many customers, we now offer the A-Class for the first time also as a saloon car. Anyone looking for a compact, sporty saloon with a separate boot now has a new attractive alternative. It will enable us to win new customers for Mercedes-Benz”. 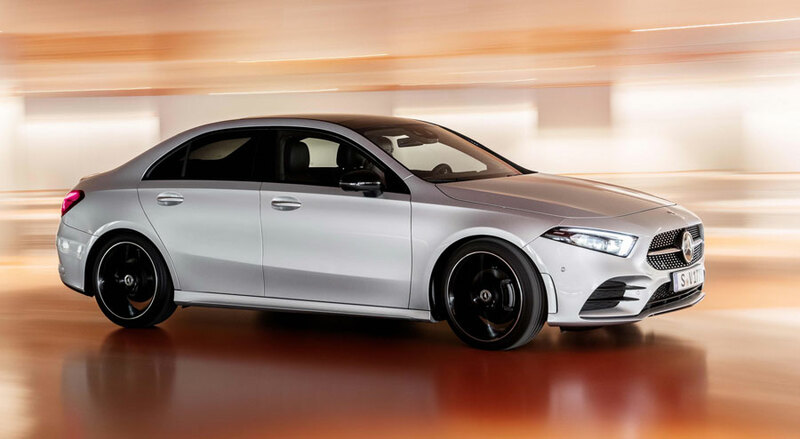 The A-Class Saloon as the seventh model further expands the range of compact cars from Mercedes-Benz. A logical addition, because with the C, E and S-Class, Mercedes-Benz has more premium saloon competence than most other manufacturers.